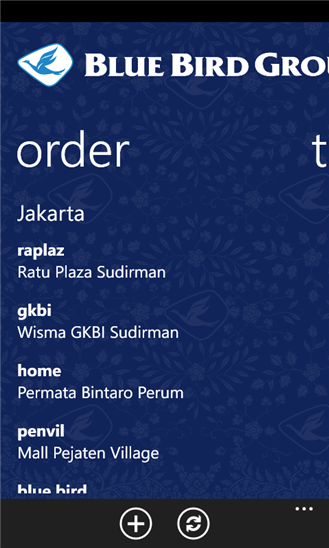 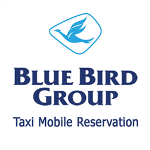 Blue Bird Taxi from Blue Bird Group - a well-known Taxi in Indonesia release there official Taxi Mobile Reservation Application for your Nokia Lumia Windows Phone 7.5, 7.8 and 8. 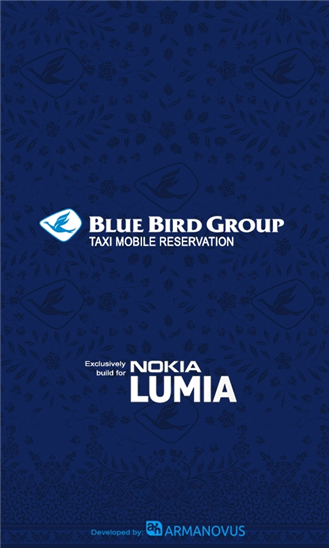 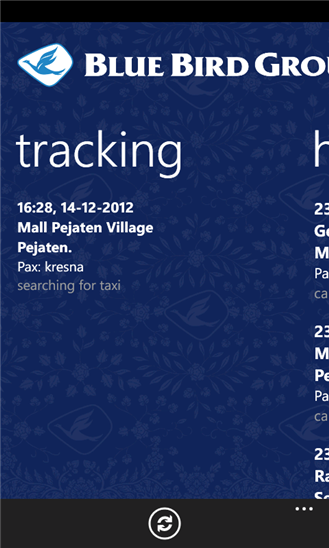 Blue Bird Taxi Mobile Reservation for Nokia Lumia helps you to make a taxi reservation, tracking and search position of your reserved taxi.
" 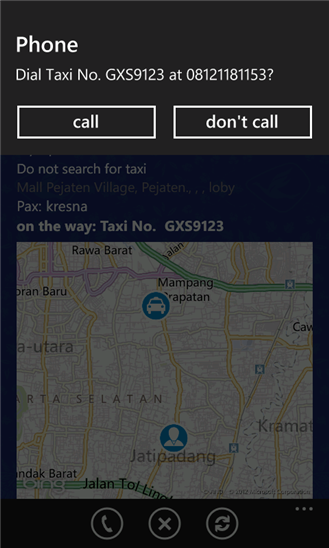 This application is to help you make a taxi reservation easier in Indonesia, from anywhere and show your taxi position on the map. 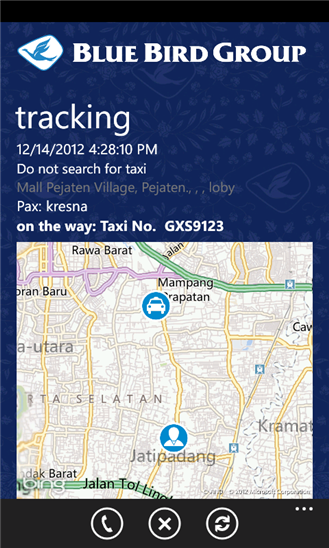 The taxi search will be done with the closest taxi available around."